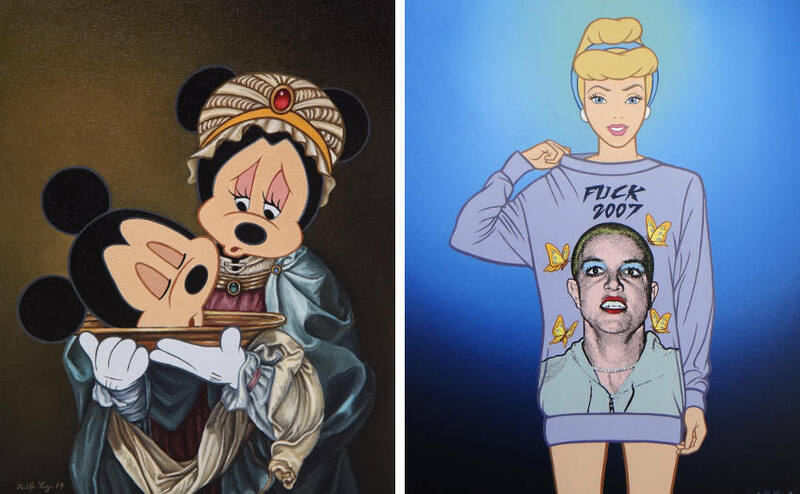 Born in Mazatlan, Sinaloa Mexico, José Rodolfo Loaiza Ontiveros is a talented artist whose work focuses on the manipulation of popular images and pop icons, with influences of Pop Art, and Lowbrow Art. Starting his career in 1998 as a self-taught artist, Rodolfo’s first solo show was in 2001, and since then he has been getting steady work. His formal education in art began in 2002 when he began attending various workshops. The artist has a degree in Graphic Design from the University ITESUS. He has taken courses in painting, drawing, printmaking, and sculpture at Centro Municipal de Artes de Sinaloa (CMA). 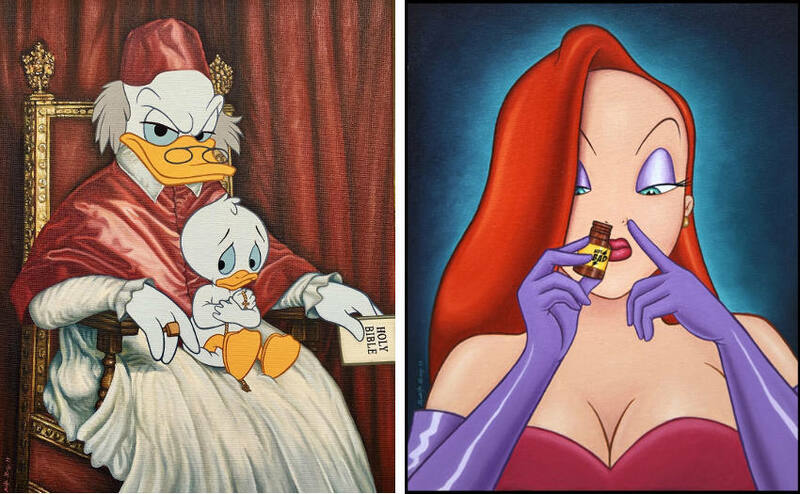 Rodolfo is an artist that specializes in putting famous pop characters in unorthodox situations, at least for said characters. 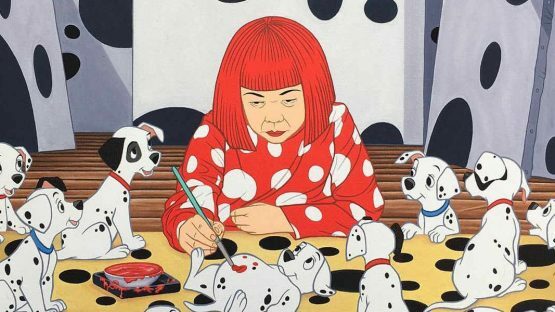 He tries to measure his viewers’ tolerance levels by showing beloved characters in dark, sometimes gritty and realistic situations, giving his works real shock value, and exploring the general theme of “loss of innocence”. His projects are a tribute to pop culture, fashion, animation, horror films and the undeniable celebrity voyeurism that exists in the world of Hollywood. He wants to raise the issue of what would happen with our classic characters if they were flesh and blood and were confronted by a frenetic and excessive world of fame, how many of them would prove to be susceptible to the excesses of drugs, alcohol, harassment or vanity? With his sharp and characteristic black humor, Rodolfo captures images, once morbidly circulated by the media, and proposes a novel way of looking at them. In his work the legendary heterosexual happy endings have been deemed outdated and have lost their exclusivity. The minorities will finally encounter an ending they’ve yearned for, beyond any bias or phobia. He has been rewarded with some awards and recognitions, including the Prize of painting “Antonio López Sáenz” and “Salón de Pequeño Formato” in Mexico, as well as several Honorable Mentions awards. His work has appeared in prestigious magazines, newspapers, and Tv Shows, including Juxtapoz Magazine, Hi-Fructose, Vogue Italy, LA Weekly, El Mundo Spain, El Universal Mexico, Univision, Telemundo, Huffington Post, and many others. His work is in the collections of, Long Gone John, Greg Wells, David Arquette, Rupert Grint, Kevin Haskins, Jessicka Addams and others. Some of the social media personalities/celebrities that have published and commented about his work are, Katy Perry, Madonna, Slash, Lady Gaga, Miley Cyrus, Drake Bell, Asia Argento, Marina and the Diamonds, The Veronicas, Alaska y Dinarama, Michelle Rodriguez, Jeremy Scott, Liberty Ross and Perez Hilton.